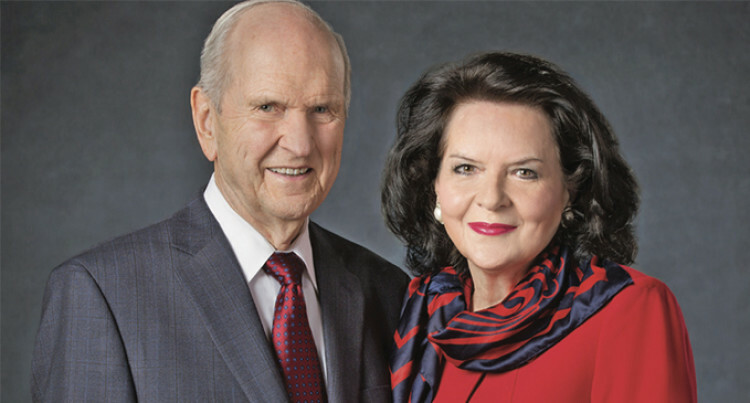 President Russel M Nelson and wife Wendy. More than 20,000 Fijian members of the Church of Jesus Christ of Latter-Day Saints are excited about the May 22 visit of their world spiritual leader whom they regard as a prophet. President Russel M Nelson, 94, a former world renowned heart surgeon, will address them after meeting Government and civic leaders and the local church clergy. His Pacific tour comes in the wake of his European tour that included a visit to the Vatican in Rome and a meeting with the Pope. President Nelson will be accompanied by his wife, Wendy. Also joining them will be Elder Gerrit W. Gong of the Quorum of the Twelve Apostles and his wife, Susan. All congregations in Fiji will hear from President Nelson during a broadcast devotional from ANZ Stadium. The global faith leaders will leave Salt Lake City May 16 and return May 25. They will minister to Latter-day Saints and friends of the Church during the nine-day trip, including missionaries and government and religious leaders. There are 16.3 million Latter-day Saints around the world, including nearly 583,000 members in the Pacific. Four men were sent to be missionaries in the islands of the Pacific in May 1843, just 13 years after the Church was organised in the United States. They followed the first missionary in the South Pacific region, English- man William Barratt, who arrived in Adelaide, Australia, in 1840. Today, missionaries serve in 18 missions in the area. The geographic region, known as Oceania, is home to 10 operating temples, and four new temples were recently announced in American Samoa, Tonga, Guam and New Zealand.